Since 1976, Institutes of Karate Do has been providing instruction in Kenpo and the Martial Arts in the Wooster, OH area. 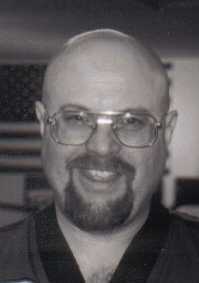 Grandmaster Schenck is an 8th degree black belt with over 40 years of training. He is the founder of Awase Kenpo Budo (Combined Fist Methods/Martial Arts) which has many subsystems. He is also the director of the Christian Martial Artist Union and the Awase Kenpo Kai. Enjoy your virtual visit, but also feel free to call, email, or visit us at any time. Please check our directory of AKK schools and clubs to determine the organization nearest you. This site is under construction. Please join the e-mail list (see link below) to recieve notice of updates and additions. Kenpo is a style of Karate developed in the West. The only difference between Kenpo and Kempo is in the translation of the Kanji to its English form. The words Kenpo and Kempo are both pronounced the same and both mean "Law of the Fist." Kenpo also teaches students how to use weapons to increase their understanding of self-defense. In Kenpo, defense against knives, clubs, and guns are taught from the yellow belt and up. Weapon training often begins at the yellow belt level, although some schools restrict it to those of black belt level and higher. The Kenpo style strives to maintain a balance between "martial" and "art." The "martial" aspect is expressed by effective, efficient self-defense concepts and techniques. The "art" is expressed by creativity, self-expression, and presentation of form. Kenpo is a martial art that teaches self-defense and self-control through three primary methods: self-defense techniques, forms, and sparring. However, Kenpo diverges from traditional Karate in several important respects. Students are encouraged to change and adapt the techniques. Kenpo emphasizes vital point attacks using punches, strikes, and kicks. Throws are also important in Kenpo. Self-Defense techniques help Kenpo students develop their skills by allowing them to practice with different threatening situations and experiment with "what-if" scenarios. Initially, forms and katas help students to develop mental concentration and mental discipline. As they progress, the forms and katas help them to develop self-awareness and self-expression. Kumite (also known as freestyle or sparring) is an exercise in which students test their skills, self-confidence, and self-control in a friendly competition among classmates. It gives students the opportunity to develop their reflexes and timing in a controlled environment while engaging in a sport activity. For announcements, news, and dojo calendar, please subscribe to our Yahoo group! Feedback, submissions, ideas? Email akkai-owner@yahoogroups.com.